Kathy’s longtime friends Tracy and Megan (above) have spent the day in Lidcombe coroner’s court watching the hearing into her convictions commence. Tracy ducked out at one point to give a radio interview to the ABC. Click here to listen to it. It’s been a huge few weeks for Kathy’s supporters. Tracy also appeared in a 60 Minutes story on Sunday night, which saw reporter Tara Brown question an expert called Dr Ophoven, who admitted she had incorrectly relied on the controversial – and now discredited – Cot Death Theory, made famous by British Professor Roy Meadow, which stated that one cot death is a tragedy, two is suspicious, three murder. Dr Ophoven used the theory during an eerily similar trial to Kathy’s, that of fellow Australian Carol Matthey, who was accused of killing her four children, Jacob, seven months, Chloe, nine weeks, Joshua, three months, and Shania, three and a half years old, between 1998 and 2003. She insisted that the chance of four unexplained infant deaths from natural causes was one in a trillion. It’s the theory that sent several UK mothers to jail in the lead up to Kathy’s trial. But a fundamental statistical error in Meadow’s Law eventually saw the theory discredited and multiple murder convictions overturned. In the UK alone, four grieving mothers – falsely accused and wrongly convicted – walked free. When Brown questioned Dr Ophoven on the validity of the theory she used against Folbigg, she confirmed she “was incorrect” concerning the statistical rarity of so many children from one family dying of natural causes. Watch the 60 Minutes story by clicking here. Clinical psychologist Dr Sharmila Betts, who examined Kathy’s diary entries, also told 60 Minutes in her opinion not even Kathleen’s darkest writings were enough to convict her. “The diaries reveal a tortured mind, and I’d be very surprised if there are not millions of mothers who think like that,” Betts told Brown. Meanwhile, ABC journalist Quentin McDermott has published a news story discussing new evidence in the case that argues that there are plausible natural causes of death for Kathy’s children. It reveals that Kathy’s third child, Sarah Folbigg, may have died earlier in the night than previously thought, in August 1993. Professor Duflou’s view challenges the argument presented by the prosecution at Kathy’s trial, that she was present with all four of her children when they died. McDermott also noted that Allan Cala, who was the chief medical expert at Kathy’s trial, is expected to give evidence on Tuesday, March 19, as will Stephen Cordner, who did not give evidence at the trial, but who wrote a lengthy report which was attached to the petition, and John Hilton, who conducted the autopsy of Kathy’s third child Sarah, and gave evidence at the trial. In his report accompanying the petition, Professor Cordner wrote that: “If the convictions in this case are to stand, I want to clearly state there is no pathological or medical basis for concluding homicide. In his own statement submitted to the inquiry, Professor Hilton said he was “in substantial agreement with the comments, views and opinions” expressed by Professor Cordner in his report. Significantly, Professor Hilton backs Professor Cordner’s view that Kathy’s fourth and oldest child, Laura, died from natural causes — in this case the illness known as myocarditis, or inflammation of the heart muscles. “Laura died with, and highly probably because of, florid myocarditis,” Professor Hilton wrote. Click here to read McDermott’s story, which resulted in the barrister acting for Kathy to be blasted by the judicial officer presiding over the inquiry into her convictions – former NSW District Court chief judge Reginald Blanch QC (above) – over the documents being leaked. According to Tracy and Megz Tuesday will be a “bombshell day” in the case. 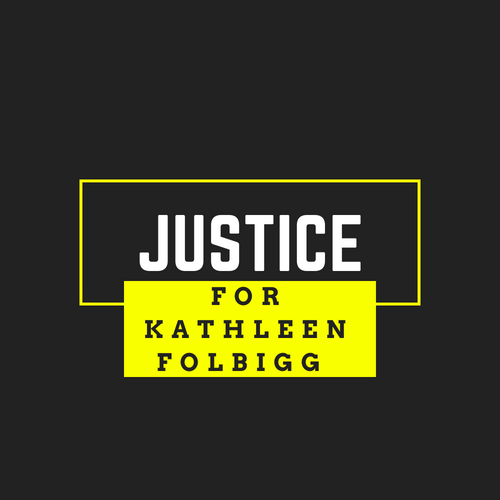 Kathy has also confirmed in writing that she will testify on April 17 and 18.